Many studies have been done on the subject of standing desks, overall mobility while at work, and the effects of sitting for long periods of time. Largely considered an effective way to cut down on sedentary time during the workday, standing desks are an easy way to burn more calories throughout the day. Standing burns somewhere between .7 and .15 more calories per minute more than sitting. It may not seem like much, but those calories add up over time. Not to mention the benefits to your mood, concentration, and productivity. Not convinced? Too much sitting has been shown to dramatically increase risk of heart disease, obesity, and other serious health complications. Despite these potential benefits, researchers have found a variety of conclusions when it comes to standing for long periods of time. On the one hand, standing 6 hours or more a day has been shown to decrease your chances of cardiovascular disease, diabetes, and obesity, but it has also been linked to an increased risk of heart disease, and can be downright detrimental to those with joint or vascular issues. While desk jobs often encourage inactivity, standing all day may not be the answer to a healthier lifestyle either. As with most things, moderation and education are key elements if you want to incorporate a standing desk into your daily routine. Most studies have found that an adjustable desk is preferable to a stationary standing or sitting desk. Sitting all day is definitely a no-no, but standing all day can take a toll as well, affecting energy levels, productivity and physical comfort. Having the option to both stand and sit during the course of the workday allows employees to find their own optimal balance based on individual preference and ability. But access to adjustable sit/stand desks may not be enough on its own. A study on standing desks done in the UK suggests that integrative support is an important component to increasing time spent standing. The group that received active intervention and support alongside an adjustable standing desk stood for a total of 50 minutes longer each day as compared to a control group that received sit/stand desks with no education or support. An office culture and atmosphere that encourages physical activity and provides opportunities to be more active will by far be the most effective. 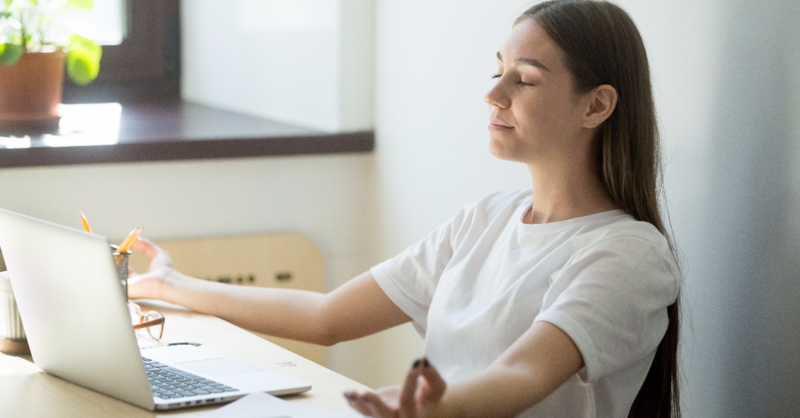 Incorporate other initiatives and company-wide practices that are geared toward movement, like walking meetings or weekly in-office yoga sessions. At the end of the day, standing desks may not revolutionize the workplace landscape as we know it, but more movement can improve mood, increase creativity, and help stave off a number of serious health problems caused by a sedentary lifestyle. Adjustable standing/sitting desks are a great first step. If you’re looking to incorporate standing desks and other more active workstation gear into your office, keep flexibility in mind. Ergonomic laptop stands and chairs can promote better posture and keep back problems at bay when used alongside a standing desk. Research on standing desks aside, workspace design can also have a major influence on the happiness, productivity, and overall well-being of your employees. Having a variety of work stations available – huddle rooms, standing desks and meeting rooms, multifunctional furniture, casual spaces for connecting with colleagues– promotes flexibility, mobility, and comfort. While coworking spaces and accelerators are best known for having design-forward workspace design, ideas about what constitutes a healthy, and functional office design have filtered into more traditional company cultures. Employee satisfaction is becoming increasingly important in a competitive job market, and companies are looking to keep up. Hot desks and office hoteling have become a common phenomenon, and aside from their reputation as cost effective solutions, they’re a useful way to encourage more physical activity, collaboration, and social interaction. Standing desks are one element of improved employee health, but a more dynamic office culture and design reinforces a healthier lifestyle (and work style) even further. Thinking about integrating hot desks and office hoteling into your office set up? Efficient resource management and up-to-date technology are just as important to employee wellness and productivity as standing desks and walking meetings . AskCody’s centralized booking software makes it easy to put together anything from a casual lunch to a strategy meeting on the fly. Book your meeting room, IT needs, catering, and schedule email and calendar notifications from anywhere. To learn more about how our office management system can help keep your team focused, productive, and on-track, schedule a free workplace consultation with one of our specialists.